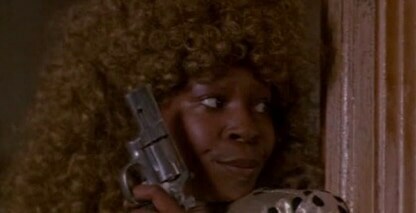 Whoopi Goldberg admitted recently on The View that she’s actually a member of the National Rifle Association. Who knew? We’re going to go out on a limb and guess that the vast majority of our readers aren’t the type of people who regularly watch The View (though there may be a handful of you out there), so you probably didn’t catch the May 9 episode with guest John Stossel of Fox. Stossel was chatting with the ladies about his new book, “No, They Can’t: Why Government Fails But Individuals Succeed.” Trayvon Martin and gun control inevitably came up and hostess Whoopi Goldberg admitted that she was a member of the NRA. When Stossel asked Goldberg if she was carrying at that moment, Goldberg replied, “You don’t want to find out.” The audience loved her answer. You know, maybe we’re casting too wide of a net here. Maybe there are actually a lot of Guns.com readers who also watch The View. Maybe a bunch of seemingly outspoken Liberals are unabashedly members of the NRA. It just goes to show you: you can’t always judge a book by its cover, especially when that book could be carrying a concealed weapon. For updates, stay tuned to Guns.com. For all breaking gun news, keep browsing Gun.com’s news feeds.